So, I know that I should be able to install into a drive other than my C drive. And I know to select another drive from the drop down menu on the first page of the installer, however... Even when I select E drive, and the installer confirms the path to that drive, the whole program still ends up in my C drive. I have uninstalled and reinstalled several times, and I THINK I have cleaned my registry correctly each time, but still cannot get it to go to the other drive. If I missed an entry in my registry, would that drive the installation towards C? Anyone help is greatly appreciated. If you follow the install/uninstall properly there is no need to do anything with the registry. Even if there were something left in the registry it would not affect the install other than to ask if you want a repair, which would keep the same install folder. When installing onto another drive, first make a folder called FS (or something) on that drive then install P3D into that folder. Might be better to install onto C and direct large addons onto the other drive for room. D:\P3D Content\Prepar3D v4 <----- This is where P3D itself is. After the Install has completed to your E drive you can confirm the location by right clicking on the Prepar3D desktop Icon and Open file location, Is this still your C drive ? Thanks, Vic, I have now! I think the only step I missed was using a download manager. I’ll put that on my list of things to try. Thanks, Poppet, I created a P3D folder on my E drive and nav’d to it through the installer... and even saw the confirmation of that location before I clicked “install”. So after a bit more investigation, I have found that if I navigate Windows- settings- storage- and click on the C drive- apps and games, I see 3 P3D programs (pro,content, and scenery perhaps? I’m not sure which ones as I’m not looking at the computer now...) and they total way more than 13 gigs...maybe 47? Anyway, If I then look at my E drive, there are no P3D programs listed there. I will try your method of confirmation, though- maybe it will tell me it is on the E drive, although my storage summary indicates that it’s the C drive that is the only drive taking the gb hit. Thanks, Buffy - that’s a great organization scheme. I’ll probably steal that- if i can get it to install to the drive I want, that will work nicely! Makes no difference what the drive letter is, except that the folder created is a personal folder owned by your login and can't be accessed by admins unless they are run by that login. So a problem in your account can render the install useless. However that's a rare issue. In older times with older spinning hard disks the partitions created could cause head thrashing and wear out the drive prematurely, that's not an issue with SSDs. Personally I install P3D into the LM location and if i'm going to be installing addons unaware of the read only nature of that folder I give the Users group the Modify Allow permission on that folder. Then no issues arise from addons using the proper location. ...be aware that if intending to back up the P3D installation remember that a working set of files remains on the C drive for example "C:\Users\[you]\AppData\Roaming\Lockheed Martin" is one that contains essential files too. They can be replaced too if absolutely necessary so that an entire drive is all P3D but can cause issues with some software. 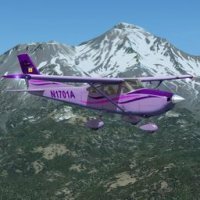 The main problems seen on P3D are basically issues surrounding the relocation of the P3D install. Done carefully it's fine but can require some experience with Windows. The most reliable systems are installed to the LM folder and the Modify Allow permission checked for the Users group to enable older addon behaviour. I guarantee the system would be working by now. ...On that HDD issue; more recent hard disks since the last decade, spinniy-rotaty types, use virtualised file allocation, partitions are no worse than folders. SSDs have a write lifetime and the virtualisation ensures that the places written to are always new places. Expensive SSDs just showing up now in servers can last ten times longer.